At LINE-X of Austin, we are driven by customer satisfaction. As a family-owned and operated business, we are committed to serving our customers well, exceeding expectations, and going out of our way to provide aftermarket truck and Jeep upgrades that our customers love. 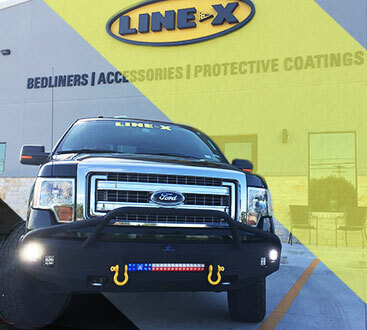 Combine our vast selection of aftermarket truck and Jeep accessories, upgrades, and proprietary protective coatings with our competitive pricing, and you will quickly realize that LINE-X of Austin is the best choice for protecting and enhancing the investment you’ve already put into your truck. Our brand new, state-of-the-art facility is staffed by our proud team of highly-trained, professional technicians who seek to both complete a clean, professional installation and wow you with our friendly, customer-focused approach to business. 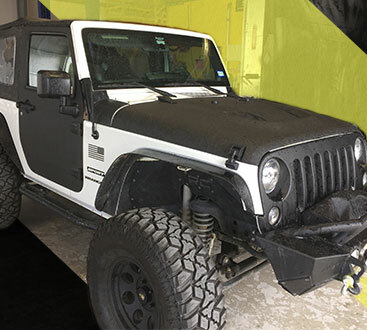 Because LINE-X of Austin only hires the best and the brightest, we are fully equipped to handle anything and everything a truck or Jeep needs. Does your truck bed need a permanent, durable spray-on protective coating with a lifetime guarantee? We can do that. Does your truck need a lift or level kit, as well as a nerf bar installation? We can do that too. We are confident that we can handle any upgrade you dream up for your truck or Jeep. Our in-house service department is best-in-class, and we are proud to be able to offer this caliber of service to the Austin community. Contact LINE-X of Austin to get started, or simply stop by our Leander location to speak with a friendly member of our team today!